Marketing and selling are dirty words in the church. Many people associate these concepts with sleazy sales tactics, junk mail, and email spam. But the truth is, marketing is necessary—even for churches. And when done well, marketing is ethical and effective. No product, service or church is so good that it can sell itself. We need to rely on traditional marketing practices to inform people about weekend services, ministry events, and even to tell stories. As a graphic designer, when it comes to creating pieces for the church, we are often caught in the middle between the anti-marketing people—those in the church who are requesting the design—and the people on the receiving end who we want to move to some specific action. Ministries and churches are often afraid to “sell” something or to ask people to do something specific. We feel safer just putting all kind of information about there and assuming that people will know what to do and how to respond. Churches are often afraid to “sell” something or to ask people to do something specific. 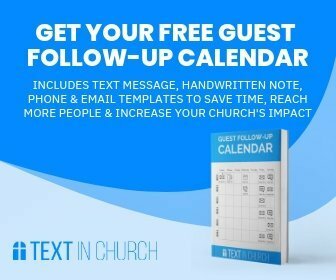 Take this example: a church that is afraid of marketing might put an ad in the local newspaper that lists the name of the church, the address, and the service times. It’s as if they are saying, “This is where we are and what time we have service.” A different church—one that understands the value of marketing—might place an ad in the same newspaper, but advertise for a specific sermon series and invite people to come on a specific date. They are basically saying, “We have a message for you about this topic and we want you to come on this specific date.” Which one do you think more people will respond to? It’s time to accept that as a designer, you are in fact, creating marketing material for your church. You are selling the church. And your job is vital to the growth of the church. You’re not just creating things that look nice. You’re creating pieces that have a purpose. Once you and your church embrace that, you can work toward taking advantage of time-tested marketing strategies and practices. 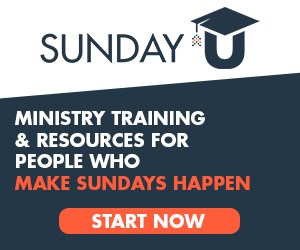 Instead of reinventing the wheel and trying to come up with brand new ways of marketing your church, why not take a cue from those who are doing it well in the secular marketplace? Here are a couple of basic things to get you started. You’re not just creating things that look nice. You’re creating pieces that have a purpose. Good marketing starts with knowing your audience. One of the biggest mistakes churches make is thinking that they are trying to reach everyone with everything they create. It’s nearly impossible to design something that will reach everyone. The content, style, and means of delivery will all narrow down who you’re really targeting. And it will never be everyone. So why not start off with that question to make it part of your strategy? Good marketing starts with knowing your audience. Once everyone is in agreement on who you’re trying to reach, you can design more effectively with them in mind. Let this determine or even change how you communicate a message. Maybe a ministry is asking for a flyer, but based on the audience they want to reach, a web or social media design would be best. Be open to having that conversation. There’s nothing worse than designing something you know will not be effective. Like the example above of the church newspaper ad, anything you design should have a clear call-to-action. It should be very obvious what you’re asking your audience to do. Do you want them to visit your website? Are you asking them to come to a specific event? Do you want them to begin coming to your church services? Then you should say that and only that. Make sure that it’s clear what their next step should be. But don’t get carried away. 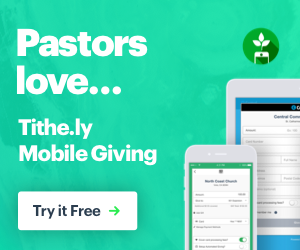 Sometimes when designing something for the church, we have a tendency to want to “get our money’s worth” especially if we’re paying to print a piece. Not only will we ask them to come to vacation Bible School, but we’ll also remind them about the children’s ministry and invite them to our weekend services. And we’ll include a web URL, phone, fax, email, address, and every form of social media ever invented—all on one small print piece. This ends up as clutter with no real message and no clear action for the recipient to take. Having a clear call-to-action is also important for your church website. Each page on website has a purpose and should lead the viewer easily to the next step or related information. Do you know the stats on who’s viewing your site and what they’re looking at? Of course you do (if not, you should). Many churches see their largest number of website views coming from first-time visitors. With this in mind, be bold in inviting them to check out a service, and make contact information very easy to find. You have a captive audience for a short amount of time, so be clear in what you want to say to them. Anything designed for the church is done with the intent to sell. No matter how you word it, anything designed for the church is done with the intent to sell. You are offering something in exchange for someone’s time, money, or something else. Of course there’s no substitute for quality design and content, but even the best design can fall flat if it’s not effective.